Mega Prince Varun tej had decent 2015 as his second movie Kanche received decent box-office response. Talented director Krish directed the film and Varuntej’s performance along with his dialogues have received good response from the audience. 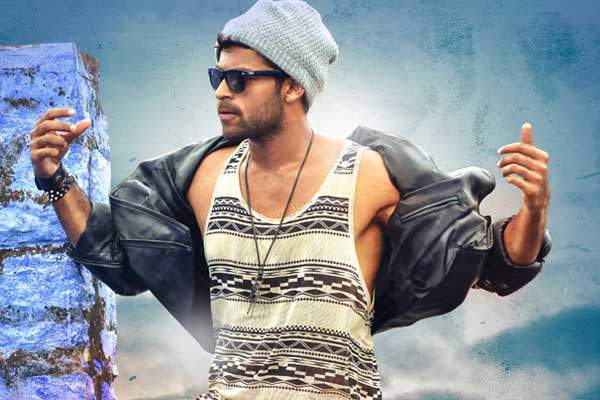 The movie has been critically acclaimed and Varun tej has been delighted about the movie’s success. He is now getting ready with his next flick which has been directed by Puri Jagannadh. Disha Patani played the female lead and the film is said to be a mass entertainer. Revathi and Posani Krishna Murali played the other prominent roles in the film which is gearing up for a massive release all over on December 17th. Sunil Kashyap composed the music and the audio of the film is already quite popular. Top producer C Kalyan produced Loafer on CK Entertainments banner along with Sri Subha Swetha Films. The expectations are huge on the flick after the release of the theatrical trailer. Trailer Talk of ‘Loafer’: Mega Prince Varuntej is now getting ready with his third movie and this time he selected a mass entertainer. Mass specialist Puri Jagannadh directed the movie which is said to have an emotional story about a mother searching for his son. Revathi and Posani Krishna Murali played Varuntej’s parents in the flick which completed all the post-production formalities recently. The theatrical trailer that has been released during the audio launch caught the audience’s attention completely. The trailer has been racy with Puri’s mark dialogues and songs. The makers have spent a bomb for the movie which will be visible on screen. Puri Jagannadh failed to continue his success track after NTR’s Temper. He worked hard and came up with a mass entertainer titled Loafer. Varuntej and Disha Patani played the lead roles in the movie and Loafer has completed all the censor formalities recently. The movie has been awarded U/A certificate from the members of the censor board with minor cuts. The emotional content of the film has been well appreciated by the censor board. C Kalyan produced the movie and Sunil Kashyap is the music composer. Loafer has done a terrific pre-release business all over and the flick will release in 1500 screens all over. Loafer is expected to open to packed houses all over the world.